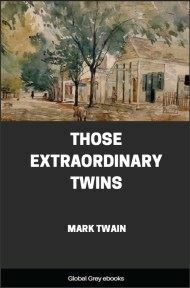 Two boys, one an urchin from London's filthy lanes, the other a prince born in a lavish palace, unwittingly trade identities. 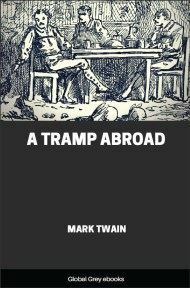 Thus a bedraggled "Prince of Poverty" discovers that his private dreams have all come true — while a pampered Prince of Wales finds himself tossed into a rough-and-tumble world of squalid beggars and villainous thieves. 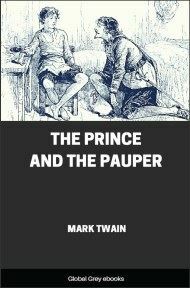 Originally written as a story for children, The Prince and the Pauper is a classic novel for adults as well through its stinging attack on the ageless human folly of attempting to measure true worth by outer appearances. Let us skip a number of years. London was fifteen hundred years old, and was a great town—for that day. It had a hundred thousand inhabitants—some think double as many. The streets were very narrow, and crooked, and dirty, especially in the part where Tom Canty lived, which was not far from London Bridge. The houses were of wood, with the second story projecting over the first, and the third sticking its elbows out beyond the second. The higher the houses grew, the broader they grew. They were skeletons of strong criss-cross beams, with solid material between, coated with plaster. The beams were painted red or blue or black, according to the owner's taste, and this gave the houses a very picturesque look. The windows were small, glazed with little diamond-shaped panes, and they opened outward, on hinges, like doors. The house which Tom's father lived in was up a foul little pocket called Offal Court, out of Pudding Lane. It was small, decayed, and rickety, but it was packed full of wretchedly poor families. Canty's tribe occupied a room on the third floor. 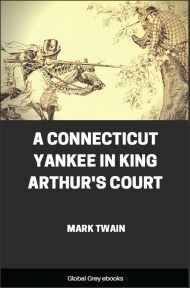 The mother and father had a sort of bedstead in the corner; but Tom, his grandmother, and his two sisters, Bet and Nan, were not restricted—they had all the floor to themselves, and might sleep where they chose. There were the remains of a blanket or two, and some bundles of ancient and dirty straw, but these could not rightly be called beds, for they were not organised; they were kicked into a general pile, mornings, and selections made from the mass at night, for service. Bet and Nan were fifteen years old—twins. They were good-hearted girls, unclean, clothed in rags, and profoundly ignorant. Their mother was like them. But the father and the grandmother were a couple of fiends. They got drunk whenever they could; then they fought each other or anybody else who came in the way; they cursed and swore always, drunk or sober; John Canty was a thief, and his mother a beggar. They made beggars of the children, but failed to make thieves of them. Among, but not of, the dreadful rabble that inhabited the house, was a good old priest whom the King had turned out of house and home with a pension of a few farthings, and he used to get the children aside and teach them right ways secretly. Father Andrew also taught Tom a little Latin, and how to read and write; and would have done the same with the girls, but they were afraid of the jeers of their friends, who could not have endured such a queer accomplishment in them. All Offal Court was just such another hive as Canty's house. Drunkenness, riot and brawling were the order, there, every night and nearly all night long. Broken heads were as common as hunger in that place. Yet little Tom was not unhappy. He had a hard time of it, but did not know it. It was the sort of time that all the Offal Court boys had, therefore he supposed it was the correct and comfortable thing. When he came home empty-handed at night, he knew his father would curse him and thrash him first, and that when he was done the awful grandmother would do it all over again and improve on it; and that away in the night his starving mother would slip to him stealthily with any miserable scrap or crust she had been able to save for him by going hungry herself, notwithstanding she was often caught in that sort of treason and soundly beaten for it by her husband. No, Tom's life went along well enough, especially in summer. He only begged just enough to save himself, for the laws against mendicancy were stringent, and the penalties heavy; so he put in a good deal of his time listening to good Father Andrew's charming old tales and legends about giants and fairies, dwarfs and genii, and enchanted castles, and gorgeous kings and princes. His head grew to be full of these wonderful things, and many a night as he lay in the dark on his scant and offensive straw, tired, hungry, and smarting from a thrashing, he unleashed his imagination and soon forgot his aches and pains in delicious picturings to himself of the charmed life of a petted prince in a regal palace. One desire came in time to haunt him day and night: it was to see a real prince, with his own eyes. He spoke of it once to some of his Offal Court comrades; but they jeered him and scoffed him so unmercifully that he was glad to keep his dream to himself after that. He often read the priest's old books and got him to explain and enlarge upon them. His dreamings and readings worked certain changes in him, by- and-by. His dream-people were so fine that he grew to lament his shabby clothing and his dirt, and to wish to be clean and better clad. He went on playing in the mud just the same, and enjoying it, too; but, instead of splashing around in the Thames solely for the fun of it, he began to find an added value in it because of the washings and cleansings it afforded. Tom could always find something going on around the Maypole in Cheapside, and at the fairs; and now and then he and the rest of London had a chance to see a military parade when some famous unfortunate was carried prisoner to the Tower, by land or boat. One summer's day he saw poor Anne Askew and three men burned at the stake in Smithfield, and heard an ex-Bishop preach a sermon to them which did not interest him. Yes, Tom's life was varied and pleasant enough, on the whole. By-and-by Tom's reading and dreaming about princely life wrought such a strong effect upon him that he began to act the prince, unconsciously. His speech and manners became curiously ceremonious and courtly, to the vast admiration and amusement of his intimates. But Tom's influence among these young people began to grow now, day by day; and in time he came to be looked up to, by them, with a sort of wondering awe, as a superior being. He seemed to know so much! and he could do and say such marvellous things! and withal, he was so deep and wise! 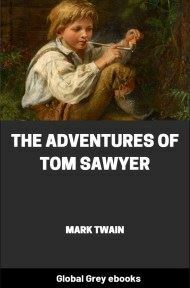 Tom's remarks, and Tom's performances, were reported by the boys to their elders; and these, also, presently began to discuss Tom Canty, and to regard him as a most gifted and extraordinary creature. 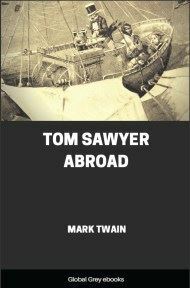 Full-grown people brought their perplexities to Tom for solution, and were often astonished at the wit and wisdom of his decisions. In fact he was become a hero to all who knew him except his own family—these, only, saw nothing in him.